Slide Doctor is a post series where crowded, lackluster, or otherwise ornery slides are transformed into beautiful, effective ones. Have slides you need help with? Submit your question and slides to the Slide Doctor at hello@peardeck.com with the Subject Line: Slide Doctor! Do you feel that chill in the air? Perhaps a tingle down your spine? It’s the spookiest time of year, a time of ghoulish ghosts and spectral spirits. The Slide Doctor enjoys a festive fright as much as the next pear, but there’s one thing that should never be scary: your Decks. Picture your class session as a movie. (The Slide Doctor enjoys imagining a tasteful biopic about her own life starring Pearyl Streep.) Ideally, there would be a clear plot, some character development, a little action and humor to spice things up, and a happy ending. But if you’re not careful, dear reader, things can end up more Poltergeist than Pixar. Learning new information can be scary in and of itself; avoid these pitfalls and plot holes to keep your lessons out of the woods. The Slide Doctor has touched on the topic of information overload before, of course. Cramming a Slide with too many points is a surefire way to scare your students. Much like zombies, bullet points are easier to take on one at a time than in an unruly mob. But what to do when you simply have to keep points together? Animations to the rescue! By adding animation builds to your Slides, you can bring points in one at a time, as you’re ready to discuss them. And with the Pear Deck Power-up, your animations will work just the way they do in Slides. First, install the Power-up from the Chrome Web Store. Then, in Slides, click Insert > Animation, and animate objects on your Slides to your heart’s content. There’s a fine line between making a Slide fun and making it distracting, as regular readers of Dear Slide Doctor already know. While The Slide Doctor encourages you to give your Decks a personal flair, be sure images never interfere with the idea being taught. A simple rule of thumb is to never place images as a background to text. 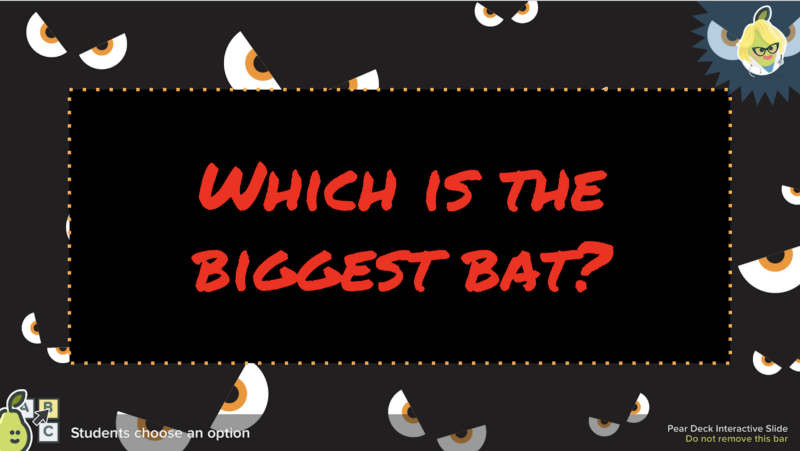 If you desperately want those spooky eyes in the background of your Halloween slide, consider placing a solid rectangle behind your text, like so. For students, following unclear directions can feel like navigating a winding, spooky maze. Be sure to give clear instructions on your interactive Slides, but most importantly, be sure you’re using the right question type for the question. If you’d like a student to show their work on a math problem, for example, a Drawing Slide will suit your needs much better than a Number Slide. And remember to generally ask one question per Slide — that way it will be clear which answer is for which question. If we’ve learned one thing from horror movies, it’s that people are safer in groups. The unlucky souls who stay behind at the car or in the house are always the ones who come face-to-face with the monster first, aren’t they? For students, falling behind in class can feel just the same. If you’re working through complex concepts that may need a little extra effort, consider putting your Slides in Student-Paced Mode to allow each student the time they need to absorb the information. When everyone’s ready, you can continue as a group, with no one left behind. 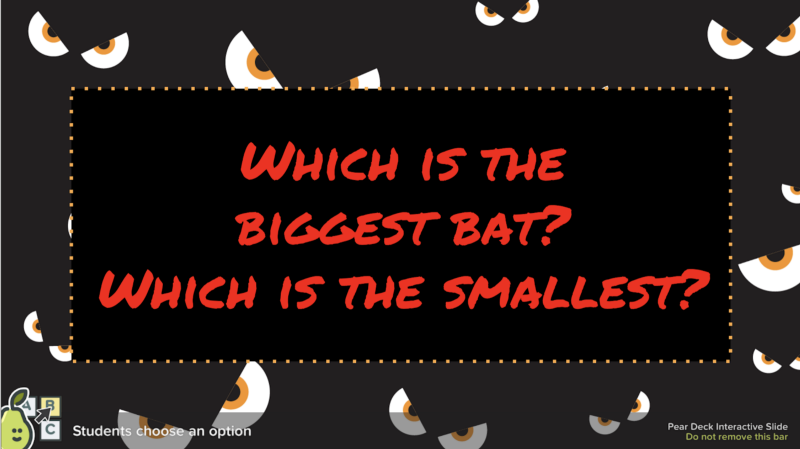 With these tips in mind, you’re ready to build a Deck that keeps your students’ spooks and scares at bay. Remember, dear readers, that the Slide Doctor is always here to help with your own classroom conundrums or educational enigmas. But for other kinds of haunting questions, perhaps stick with the Ghostbusters. Have slides you need help with? 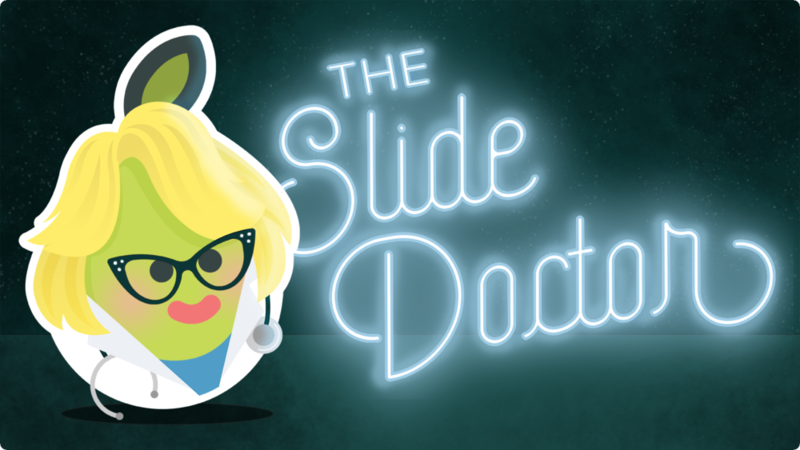 Submit your question and slides to the Slide Doctor at hello@peardeck.com with the Subject Line: Slide Doctor!